Works of the highest level and impact are proposed, divided into ten sections, in a thematic sequence that reflects the exemplary concepts of the nihilistic poetics of Dadaism and the propositive nature of Surrealism. The themes explored through the works of great artists are: chance, the ugly, the dream, the unconscious, the relationship with the ancient, the link between art and ideology. Most of the works will be exhibited in Italy for the first time ever. Thanks to works on loan from the Boijmans Van Beuningen Museum, three different versions of the Boîtes ("boxes") by Marcel Duchamp (La boîte verte, La boîte-envalise, À l'infinitif) will be exhibited. Moving towards Surrealism and its dream world, we find the preparatory drawings and an extraordinary painting by Salvador Dalí inspired by the book by Raymond Rousell New Impressions of Africa. 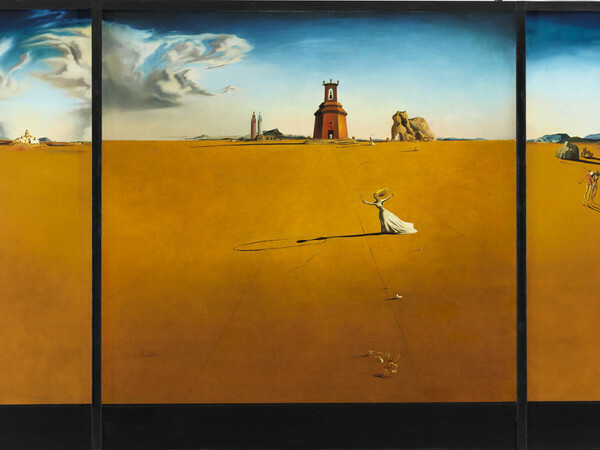 Another important work is the Chants de Maldoror of the Comte de Lautréamont, illustrated both by Dalí and Magritte. The exhibition is curated by Marco Vallora and organised by the Ferrero Foundation in Alba, where it will be held from 27 October 2018 to 25 February 2019. Admission free but booking is recommended. Weekdays: from 3.00 to 7.00 pm. Closed: every Tuesday, 24-25-31 December 2018 and 1 January 2019.